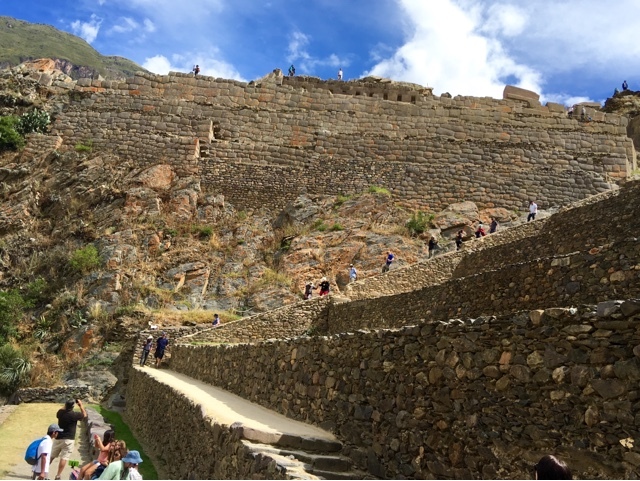 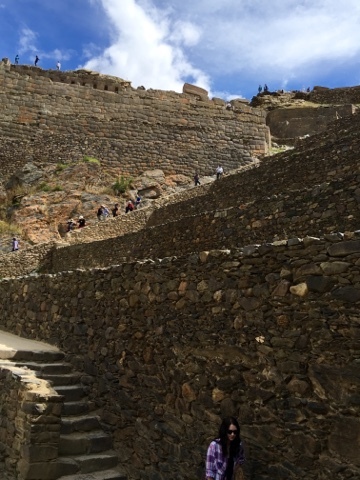 The tour of the Inca ruins at Ollantaytambo was the highlight of our day. 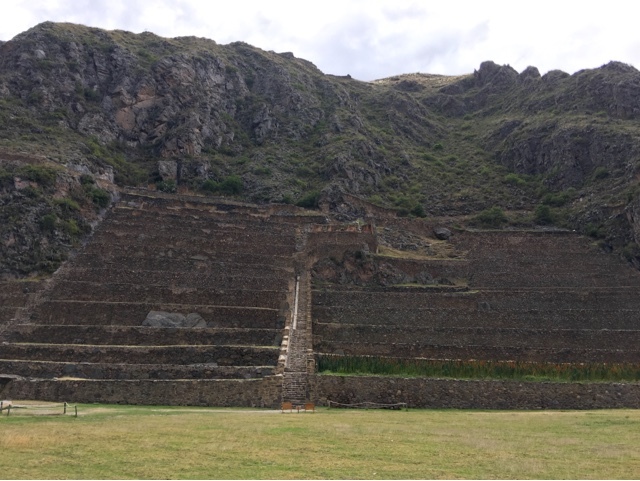 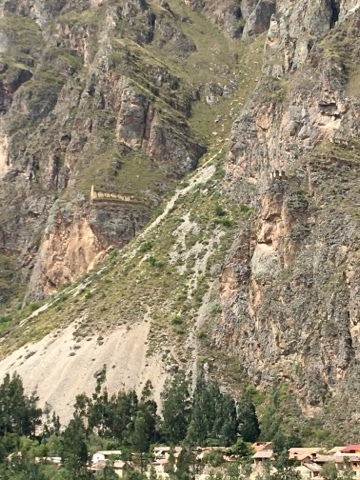 It was quite amazing, as we viewed the agricultural terraces, the fountains that the clever Inca engineers designed and built, the food storage facilities high up on the mountains across the valley, and of course the mammoth scale of the construction. 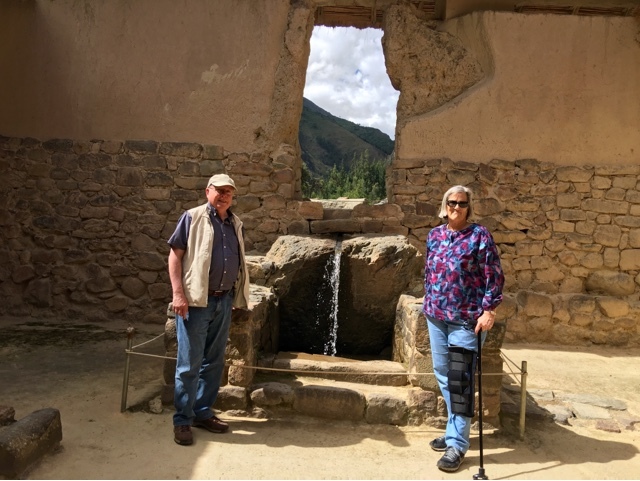 We read later that this was actually a center of resistance to invading Spanish Conquistadors, whom the Incas defeated at one point by flooding the fields. 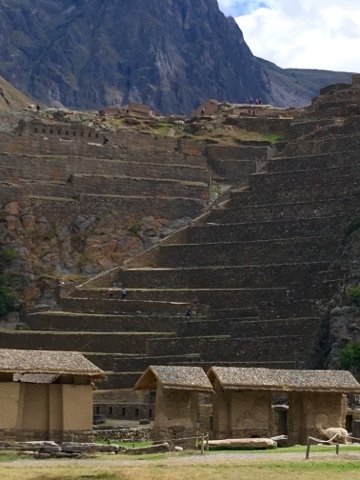 After touring and walking up and down, good training for Machu Picchu, it was time to go to the train station, where an ugly surprise awaited.